Do you need to make your Cox Cable bill payment? Or are you a new customer and want to find out more about the company? Discover bill payment options, account opening and closing, and general contact information. 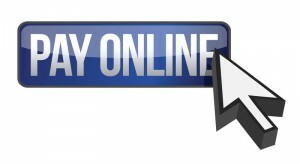 To make a payment online or manage your account, follow the link provided below on this page to the Cox Cable login. You will also find useful “pay my bill” information such as the Cox customer service number, payment mailing address, and billing phone number below. Pay Online: Once you have opened an online account, you can make bill payments, check your balance, enroll in paperless billing and view your payment history. Cox EasyPay allows you to set up safe, automatic and recurrent payments that are deducted from you checking or savings bank account or credit card every month. To make your Cox bill payment online click the “Pay Online” button below to login, register, view your bill or manage your account online. Pay by Mobile Device: Using Cox Mobile Connect allows customers to pay bills via their smart phone or other mobile device. Access your online account, choose “view/bill pay” on cox.com and make your payment via credit card. Check the Status of recent Payments: If you want to find out, whether or not a bill payment you made has been posted to your account, sign into your online account and select “view recent activity” under your “My Account” option. The screen that opens up will show your past and pending payments. Cox Payment Mailing Address: If you have received a paper bill, detach the payment coupon and place it with your money order or check into a standard envelope and mail it to the payment address listed on your bill. Be sure to include your Cox Cable account number on the money order or check. To ensure your Cox payment is received on time it is recommended that you mail your payment at least 5 business days prior to the due date shown on your monthly billing statement. Pay by Phone: You can make a payment by telephoning the number listed on your Cox Cable bill. An automated voice service will guide you through the payment process. You can make a payment by entering a bank account or credit card number of your choice with the automated system: 1-866-206-932 FREE, available 24/7. If you make a payment via a Cox Cable customer service representative, you will be charged a $10.00 fee for the representative-assisted bill payment. You can only call and speak to a representative during regular business hours for this service: Monday – Friday, 8:00 a.m. – 8:00 p.m.; Saturday, 9:00 a.m. – 6:00 p.m.
Pay in Person: Visit the cox.com website and look up the address of your nearest retail store where you can make the payment by searching the “contact us” page. Simply enter your zip code in the onscreen box and click on “map it” to show the nearest Solutions Store. 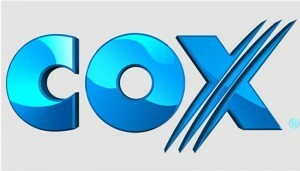 Visit the cox.com website for online chats with a representative or call 1-877-832-7658 FREE for 24/7 tech support. For online order or subscriber assistance call 1-866-961-0027 FREE during the above mentioned business hours. Cox Cable, or Cox Communications, provides digital cable television, home automation and telecommunications services to more than 6.2 million customers across the United States. It is the 3rd largest cable television provider in the country, and has its headquarters in Sandy Springs, Georgia. Searching pay my Dish Network bill? Are you a new customer and need to make your first Dish Network bill payment? Do you want to find out how to open an account and where to find general contact information? Here are some essentials to get you started. To make a payment online or manage your account, follow the link provided below on this page to the Dish Network login. You will also find useful “pay my bill” information such as the Dish Network customer service number, payment mailing address, and billing phone number below. Pay Online: You can opt for pay-per-view services, if you want to watch a specific movie, sports event or other service just once. For this you can pay online by credit or debit card or with your checking account. Or you can set up an account and opt for paperless billing and auto pay, which pays your Dish Network bill automatically every month, once you have provided your bank account, debit or credit card details and completed your customer profile. Simply follow the online prompts to see your bill payment history or outstanding balance. Making automated payments every month is FREE. To make your Dish Network bill payment online click the “Pay Online” button below to login, register, view your bill or manage your account online. Pay in Person: You can search online for cash locations where you can pay your DISH Network bill in persons. Just use your zip code to locate the nearest store. There are thousands of locations where you can just walk in and pay our bill. Any retail store offering Softgate PayXchange, PreCash, MoneyGram Express Payments, Western Union, SwiftPay, ACE Cash Express or CheckFreePay services will be able to help. Your payment will show on your DISH Network account within 1 hour. Cash Payment Fees apply: Paying by MoneyGram Express requires a $6.99 processing fee; PreCash will cost $5.00 for processing; Western Union Convenience Pay will cost $2.00 and SwiftPay will cost $6.75. Softgate PayXchange will cost $4.95 in processing fees. CheckFreePay costs $2.50 for processing your payment and ACE Cash Express will charge $3.00 in processing fees. Pay By Bitcoin: DISH uses Coinbase as the payment processor for customers’ Bitcoin transactions. Bitcoin payments are made online, using the Bitcoin wallet of their choice to make one-time payments. Simply head online to open an account, once you have decided which service you would like to subscribe to. 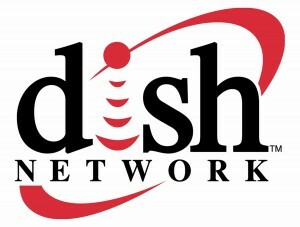 Call 1-888-557-9569 FREE to inquire about a DISH Network Move-In deal. Call customer services and support on 1-800-333-DISH, if you want to close your account. Businesses wishing to open an account should call 1-884-800-7637 and speak to an adviser. General Customer Services and Support: Call 1 – 800 -333-DISH. Representatives are available 24/7. You can also call this number, if you experience any type of technical problems with your DISH Network equipment or connections. You can also contact Customer services by email, Twitter and IM by visiting the DISH website. The website’s Customer Forum may also answer some of your questions. Founded in 1980, DISH Network employs more than 22,000 people in the US and provides customers with groundbreaking, award-winning satellite pay-TV. The company has ca. 14 million subscribers and offers high quality programming, leading the pay-TV industry with the latest HD and DVR technology. The company provides the most international channels, surpassing revenues of more than $13.9 billion in 2013. DISH Network has its headquarter in Englewood, Colorado and its shares are publicly traded on the NASDAQ Exchange.